Editor’s Note: We updated this article for 2019. This is our fourth time ranking the cheapest places to live in North Carolina. Do you remember your mom making you wear your sister or brother’s old clothes? This economic formula for affordability is no different for the good people of North Carolina. Most people think that North Carolina’s cities are filled with a bunch of fancy shrimp and grits restaurants, snobby Tar Heel fans, and a plethora of wealthy tobacco plantation owners. While all this might be true for some North Carolina cities, the NASCAR fans and BOGO lovers of North Carolina would beg to differ. North Carolina’s cities have a lot to offer to all income levels; and surprisingly, it is actually extremely affordable. If you ask any North Carolinian, they will say hands down that North Carolina is one of the best states in the country. And in order to be one of the best, they have to have some of the nicest, most affordable places to call home, right? Now, don’t get your hand-me-downs in a bunch. Just because North Carolina is affordable, doesn’t mean it’s all Dollar Store ‘cheap’. It means the cost of living is doable. And that means that you have more money to do the fun stuff that the Tar Heel State has to offer: like renting a summer beach house in the Outer Banks or taking a snowboarding trip to the Blue Ridge Mountains. Yes, North Carolina is the best state for those looking for a little good ‘ol fashioned, inexpensive fun. It seems like North Carolinians are always on the go having fun around every turn. This fun happens because the Tar Heels know the value of a dollar. More importantly, they know the North Carolina cities where your dollar will go the furthest. What does the most affordable place to live in North Carolina look like? Well, after crunching the US Census median housing costs, median income, and overall cost of living data, Sawmill is the most affordable place to live in North Carolina. If you care about home values, cost of living, and high quality of life, take a look at the list below to find the most affordable places in North Carolina, where, yes, you can have it all. The most affordable city in North Carolina for 2019 is Sawmills. Kudos to the “Biggest Little Town in the Foothills’. They have held strong at number one from last year to become a Caldwell County gold star city. Located in the northeastern corner of The Tar Heel State, agriculture and forestry have kept their economy moving in right direction. The median income in this town is around $42,000 with average home prices up around $99,000. Sawmills scored off our charts scoring an 8/10 on our affordability scale. They are the 3rd most affordable city when we looked at home price to income ratio. The median income in Sawmills comes in at $41,875 and the median home value is $99,100 for 2019. 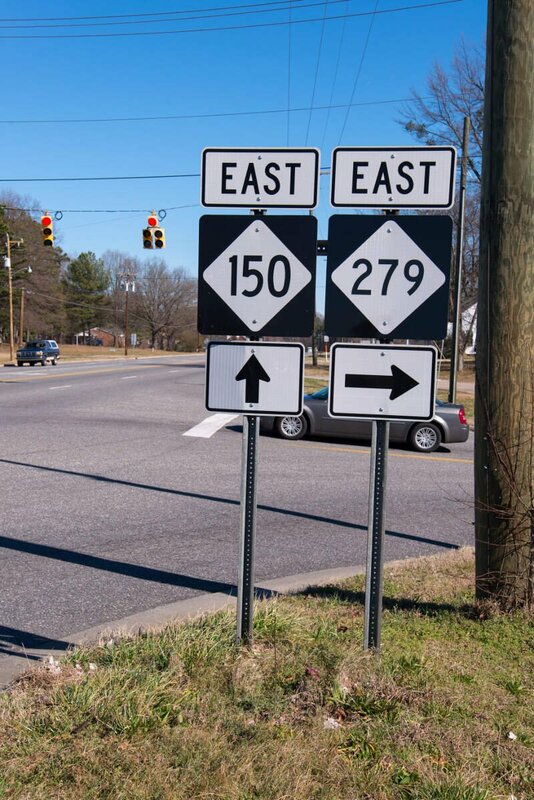 Where North Carolina State HWY 74 meets North Carolina State Hwy 177, is our second most affordable city in the Old North State: Hamlet. 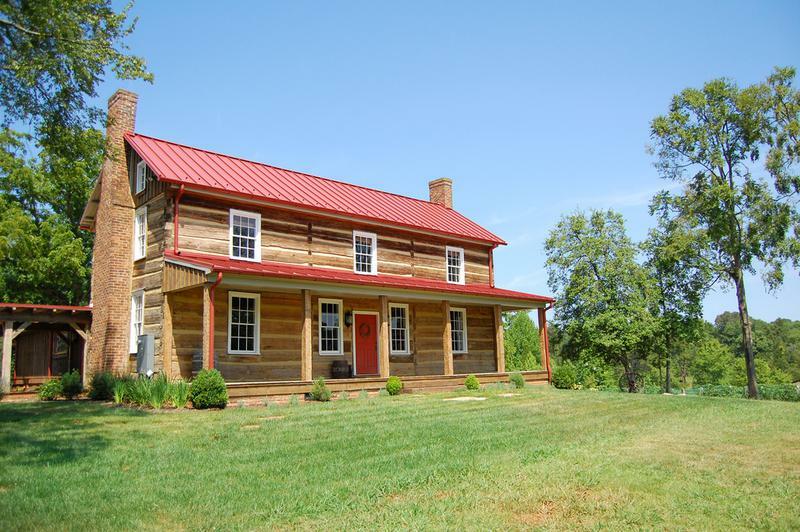 This little North Carolina gem is 5th when it comes to home price to income ratio. We are not surprised considering they have such a strong economy led by a railroad hub with an emphasis in manufacturing and warehousing. And with a median household income close to $38,000, we’re sure you’ll find Hamlet super inviting and super affordable. The median income in Hamlet comes in at $37,485 and the median home value is $92,200 for 2019. Nashville, North Carolina is NOT like Nashville, Tennessee. Nashville, North Carolina is super safe and super affordable. Nashville is small city located 36 miles East of Raleigh in north-central North Carolina. 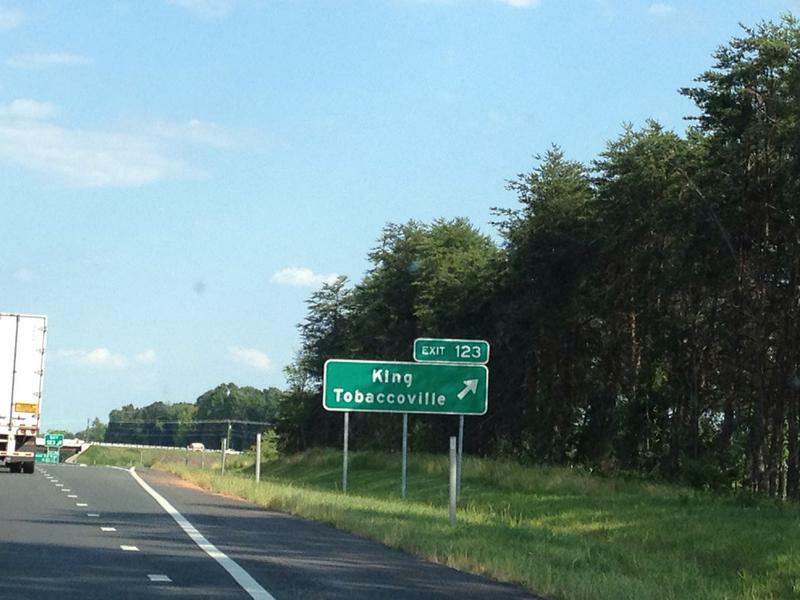 This little city in Nash County is our third most affordable city in the Tar Heel State for 2019. This city that claims to be ‘The Original Town of Nashville,’ scored an 8.5/10 in affordability on our snackability scale with a 7/10 for jobs. Jobs in manufacturing, healthcare, and waste management support Nashville’s economy. Nashville’s $50,000/year median income provides stability, affordability, and some extra cheddar for a beach trip or two. The median income in Nashville comes in at $49,656 and the median home value is $126,400 for 2019. Marion, North Carolina’s gateway to the West, is our fourth most affordable city in the Tar Heel State for 2019. Marion scored an 8/10 for affordability on our snackability scale, and we think it has something to do with the fact that their median income is pushing $35,000. When residents aren’t busy cheering on their hometown hero, Coach Roy Williams, during UNC’s basketball season, they are working in one of Marion’s very profitable industries that includes healthcare, education, and retail. If affordability equals happiness, we’re pretty sure you’ll want to call the city ‘Where Main Street Meets the Mountains” your next happy home. The median income in Marion comes in at $34,308 and the median home value is $89,400 for 2019. Trinity is one of the coolest Tar Heel cities. It’s also our fifth most affordable city in North Carolina for 2019. Trinity’s overall HomeSnacks snackability was an 8/10! Not surprising considering their employment status and degree of affordability both scored off the charts. Busy people don’t have time to waste their money on nonsense. Why is Trinity super affordable? They are the world’s largest manufacturers of bedding products. And if we know anything about bedding testers, they know proper thread count. More importantly, proper thread count can make or break a solid work day. With a $50,000/year median income, we’re pretty sure the residents in Trinity are getting their rest. The median income in Trinity comes in at $50,718 and the median home value is $129,900 for 2019. Just a stone’s throw from Trinity is our sixth most affordable city in North Carolina: Archdale. You don’t have to live on ramen noodles and the McDonald’s dollar menu to afford this little North Carolina treasure. This city in Guilford/Randolph County is our 18th most affordable city for home ownership in line with median income. Once a city with an agricultural-based economy, this Archdale has gravitated towards the traditional with most jobs, now, in manufacturing, healthcare, and tech services. We get why your city’s motto is ‘Crossroad of Progress’. The median income in Archdale comes in at $51,154 and the median home value is $135,800 for 2019. This is only ‘one’ of the reasons our seventh most affordable city in North Carolina, King, has made the list. But not the only reason for this north-central Tar Heel city to crush our snackability scale. King received an 8/10 on our snackability scale: the highest score on our top ten list. Major employers like Wake Forest Baptist Medical Center, Novant Health, and Wake Forest University, help to keep King’s median household income competitive and the city affordable. The median income in King comes in at $58,268 and the median home value is $148,600 for 2019. You don’t have to win the lottery to live in this affordable North Carolina city. And if you’re looking for a strong side hustle to offset your bills, our eighth most affordable city in the Tar Heel State for 2019, Cherryville, is crushing the automotive parts industry. This city, located slightly northwest of the Queen City, boasts a $42,000/year median household income. No wonder you’re the 16th most affordable city in terms of home ownership to median income. Cville, you are every North Carolina real estate agent’s dream. 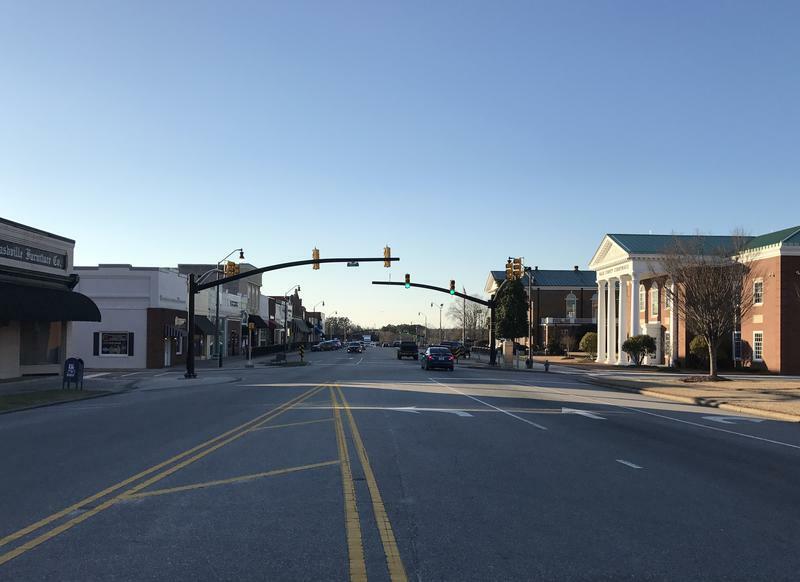 The median income in Cherryville comes in at $42,083 and the median home value is $110,300 for 2019. Lewisville, located just West of Winston-Salem, is our ninth most affordable city in the Tar Heel State for 2019. This city in Forsyth County is the 2nd most affordable city in terms of home to income ratio. They are 6th in terms of cheapest rent to income ratio. These numbers tell us that Lewisville is extremely affordable and that the residents, here, want you to buy or rent: they just want you to call their city home. Lewisville is pretty popular for its small town vibes, great bicycle trails, and great parks. So, while saving for your first home in this Piedmont Triad Community, might we suggest bicycle mechanic as a lucrative side hustle. The median income in Lewisville comes in at $79,071 and the median home value is $186,700 for 2019. The furthest East North Carolina city that made our top ten list is Williamston. 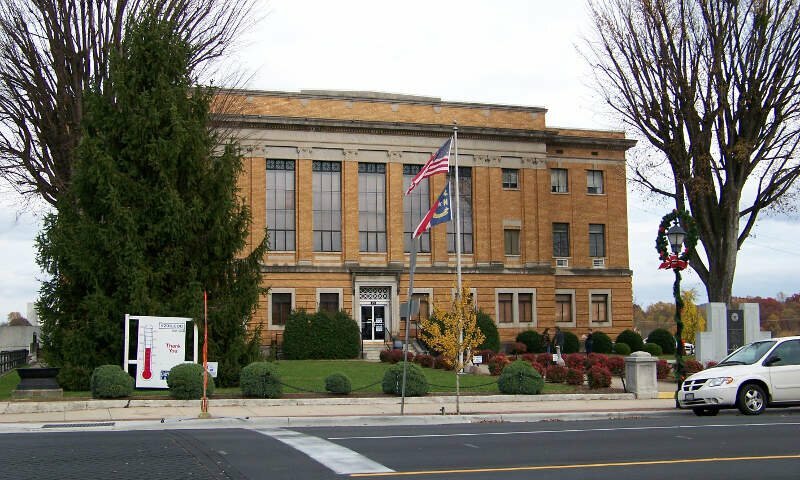 This little city in Martin County rounds out our list as the tenth most affordable city in the Tar Heel State for 2019. Williamston crushed our job snackability scale. This city has great job opportunities with manufacturing positions, healthcare work, and agricultural positions up for grabs right now. Heck, something has to keep that household median income up around $32,000/year. So if you’re looking for ‘Easy Hometown Living with Hometown Values,’ with an affordable price tag, look no further than Williamston. The median income in Williamston comes in at $32,474 and the median home value is $83,400 for 2019. 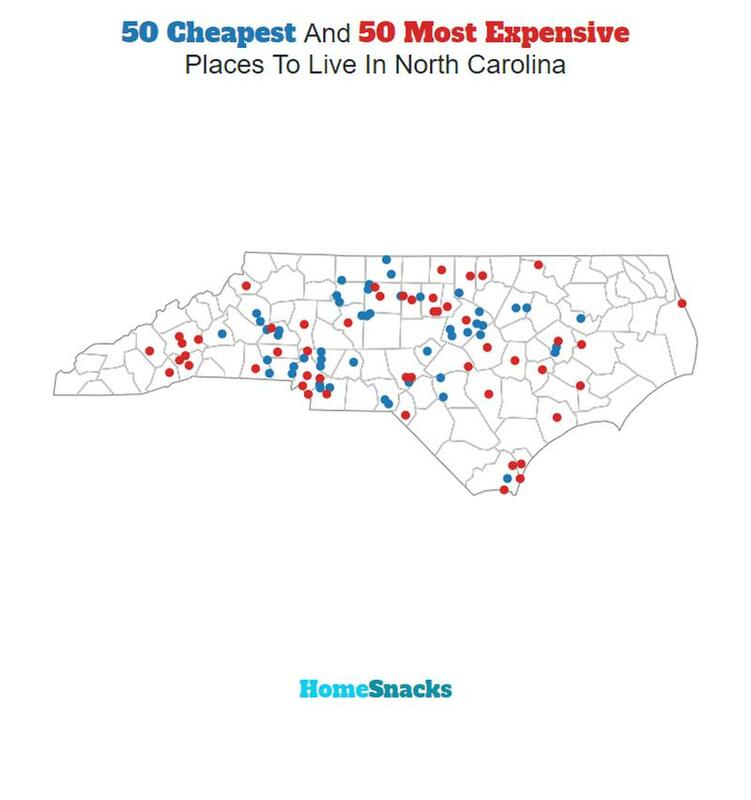 You can then compare these metrics in each of the places in North Carolina to figure out which is the least expensive. So we used that cost of living index in order to rank all of the 132 places in North Carolina that have more than 5,000 people. The place with the lowest cost of living in North Carolina according to the data is Sawmills. If you’re looking at the cost of living numbers in North Carolina, this is an accurate list of the most affordable places to live in north carolina for 2019. Where Are The Most Affordable Places To Live In North Carolina?